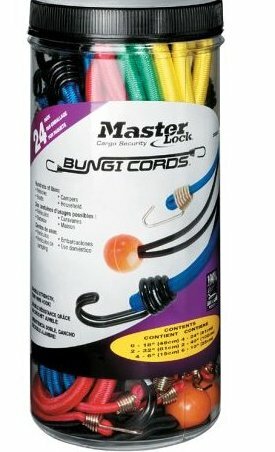 24 count Twin Wire Bungee Cord Assortment. Reverse hook design to allow more room to attach. Two wires in our hook offers twice the strength of traditional bungees. rounded hook end eliminates risk of scratching. Best used for automotive and towing, marine recreation, trailers, vans and moving trucks.